Shop Knowledge center Crop care What are the advantages of organic fertilizers? Sustainability and environmental friendliness are gaining more and more popularity amongst consumers in the horticultural sector. Organic fertilizers can play a role. 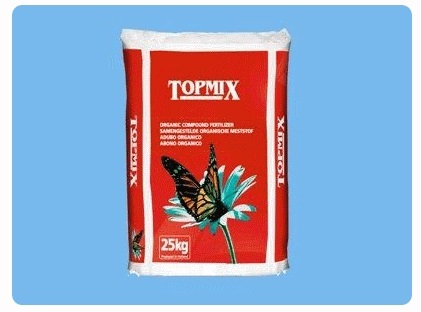 These fertilizers are completely built from natural raw materials of plant or animal origin. The biggest difference with chemical fertilizers is that organic fertilizers improve the soil’s health and condition, which increases the fertility. The use of these fertilizers leads to an augmentation of micro-biologic activity in the soil. Organic fertilizers are broken down by organisms in humic acid and amino acid. During this process oxygen is needed and air is drawn, making the soil structure airier. Due to this combination, a rich, healthy soil with a good biodiversity is created. Because of this, the plant can get enough nutrients and humidity from the soil, resulting in a healthy crop with high resistance against diseases and pest. Another difference with the chemical fertilizers is that the nutrients (nitrogen, phosphorus and potassium) are supplied more gradually by organic fertilizers. This, because organic fertilizers only supply nutrients when bacteria break down the fertilizer pellets. A longer availability of the nutrients can be seen as result of this, which brings along a lower risk of leaching and burning of the roots (could happen with excessive amount of chemical fertilizers). The use of organic fertilizers has several advantages, but there is also an important point of attention that must be taken into account. Organic fertilizers contain a larger amount of sodium than chemical fertilizers. Any questions about the advantages of organic fertilizers? Contact one of our product specialists, or use the form below. When you have a question or request personal advice, we will contact you within 24 hours on working days. - How can problems with the crop's roots be prevented?